3001. 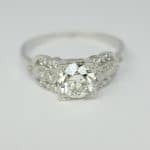 Antique Platinum 1.13ct Old European Cut Round Diamond Engagement Ring with 14 round single cut side diamonds with a total weight of 0.20ct tw. 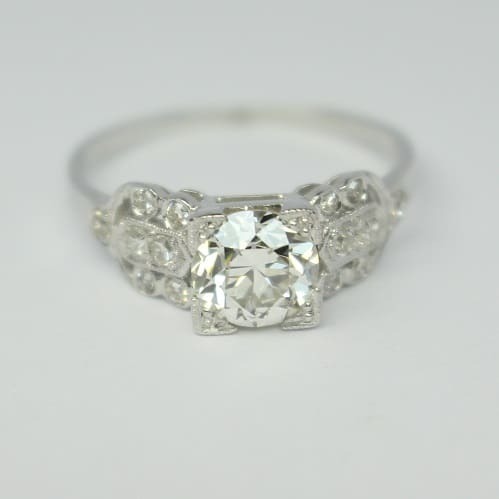 The center diamond is independently certified to be H color, VS2 clarity.